Start it off, and watch the votes roll in. 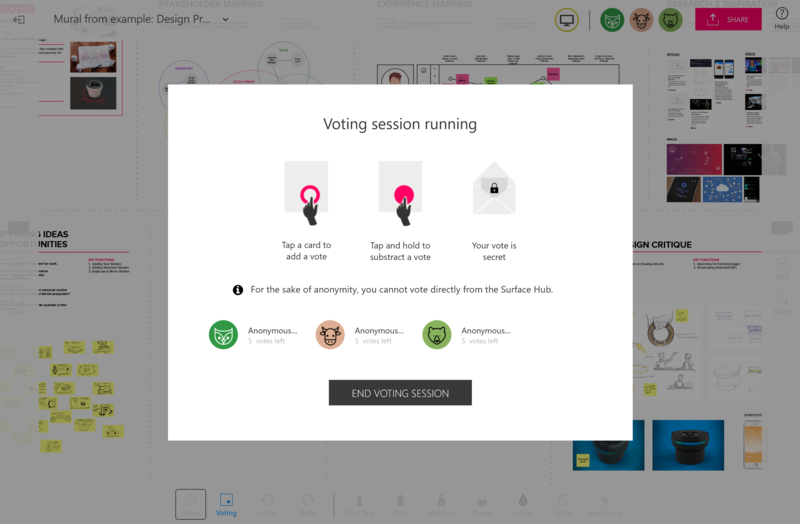 **NOTE: You can’t vote on the Surface Hub, only manage voting sessions. If you could vote it wouldn’t be private since the rest of your team could see what you're voting on!